Battle alongside your brothers through the sewers, subways, and streets of NYC to take down Shredder and Krang's evil organization, Foot by Foot. 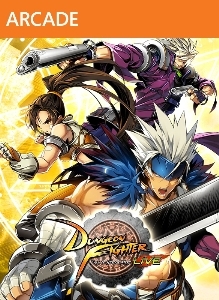 Unleash custom combat skills and powerful team combos to save Manhattan from the overwhelming dark force... more info..
Dungeon Fighter Online is a downloadable side-scrolling action fighting game featuring role-playing elements, five unique character classes, and player versus player. Hack-and-slash action and 2D side scrolling meet multiplayer mania in Dungeon Fi... more info.. Developed by Rockstar North and published by Rockstar Games, Grand Theft Auto: San Andreas is an open world action-adventure video game now available to purchase via digital download on Xbox 360.... more info..
'Dying Light' is a new first-person survival action game, set in a vast open world overrun with zombies. Developed by Techland, Dying Light will be available for Xbox 360, Xbox One, PlayStation 3, PlayStation 4, and PC in 2015.... more info..
“RIDE” is a unique motorcycle experience designed for bike lovers who live and breathe the world of motorcycling. The game features the most eminent manufacturers and their most famous and prestigious models. Customise Live the RIDE e... more info..
Battlefield 4 Second Assault features four of the most fan-favorite maps from Battlefield 3: Operation Metro, Caspian Border, Gulf of Oman, and Operation Firestorm - reimagined with Frostbite 3 graphics and Battlefield 4 gameplay. Battlefield ... more info..